Everyone knows that the source of a well run organization can be found in the excellent people that keep it running smoothly each and every day! 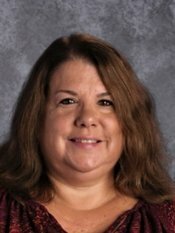 For the past eighteen years, Divine Redeemer Lutheran Church & School has been blessed with such a person- Mrs. Renee Kandler. Though her official title is Chief Financial Officer, it won’t surprise anyone to know that she very successfully wears many different “hats” of responsibility. As she prepares financial reports for church and school meetings, Mrs. Kandler continues to be one of the backbones of this organization! Mrs. Kandler wasn’t even thinking of going back to work full time while taking care of her two young children at the time, Rebecca and Ryan. But when the Business Manager position at Divine Redeemer Lutheran Church and School became available, she quickly found the Lord had special plans for her! She accepted the position and has been instrumental in the day-to-day activities of the church and school ever since. She has since gone back to school for several financial classes and now owns the title of Chief Financial Officer. Prior work experience included helping at her families’ restaurant called “Kandler’s on Keesus”. She loves the family atmosphere of the school and presently is involved in bible studies at the church. She has been married to her husband, Rick, for the past 29 years and her children are now grown. Mrs. Kandler enjoys spending time on Lake Keesus and watching the Packers win!